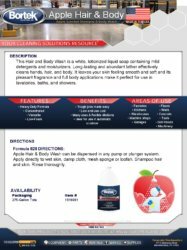 This Hair and Body Wash is a white, lotionized liquid soap containing mild detergents and moisturizers. 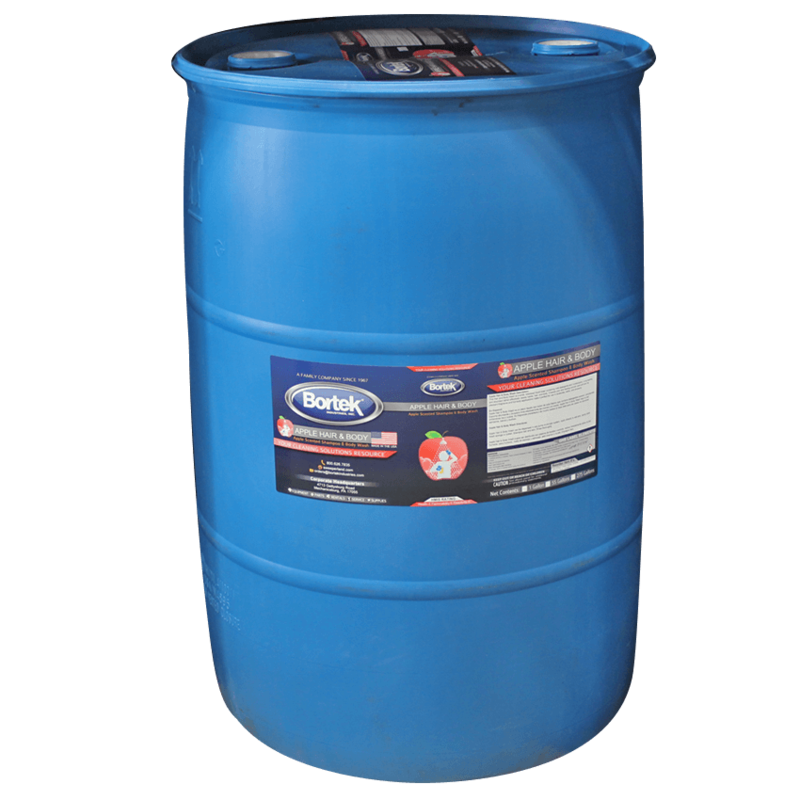 Long-lasting and abundant lather effectively cleans hands, hair, and body. It leaves your skin feeling smooth and soft and its pleasant fragrance and full body applications make it perfect for use in lavatories, baths, and showers. 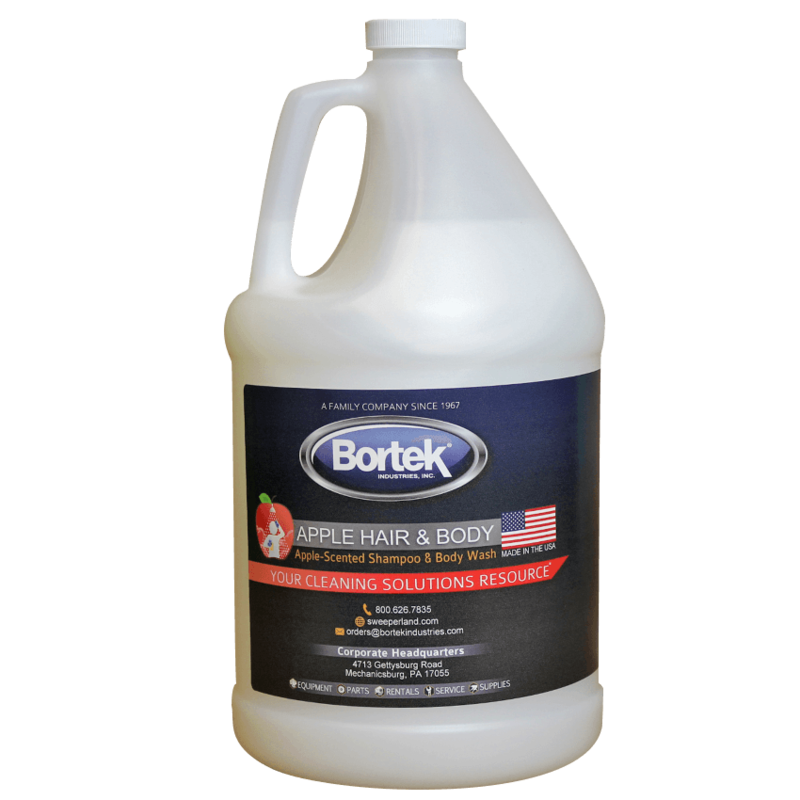 Apple Hair & Body Wash can be dispensed in any pump or plunger system. Apply directly to wet skin, damp cloth, mesh sponge or loofah. Shampoo hair and skin. Rinse thoroughly.